Having a hard time finding the perfect style planter for your backyard? Why not build your own and get exactly what you want? House Plans and More has a large selection of stylish outdoor planter plans to build, so it will easily blend with existing backyard furniture and décor. 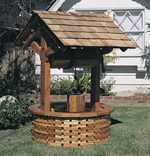 Or, build it to match outdoor furniture you also plan to build. From country styles to sleek modern designs, our selection will provide a look that you have always wanted for your backyard getaway. 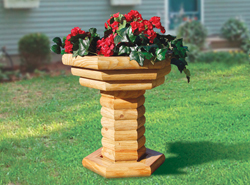 Our collection of planter plans includes many styles and sizes perfect for many types of outdoor spaces. We offer detailed drawings that allow you to visualize how the finished project will look. With a wide variety of plans, we are sure that you will find the perfect do-it-yourself project to fit your needs.